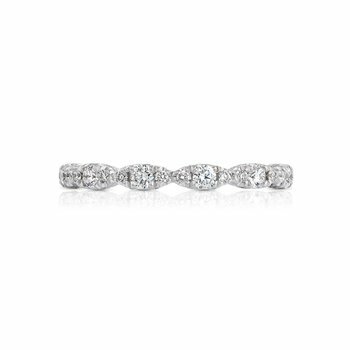 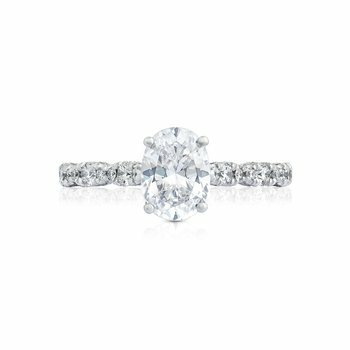 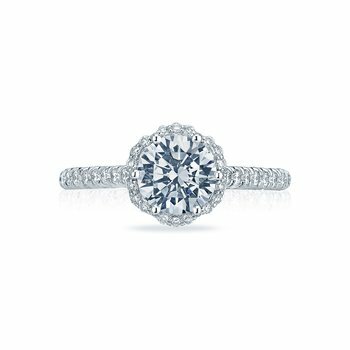 With not one, not two, but three stunning diamond filled bands leading their way up to the brilliant round center diamond, this Tacori engagement ring is absolutely breathtaking. 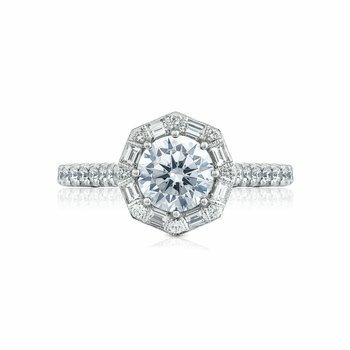 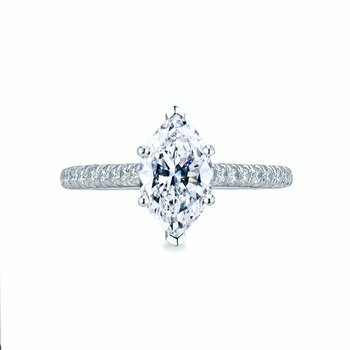 For the Tacori girl looking to make a bold statement, this engagement ring offers a classic round center diamond with an ultra-feminine bloom bringing life to the center diamond. 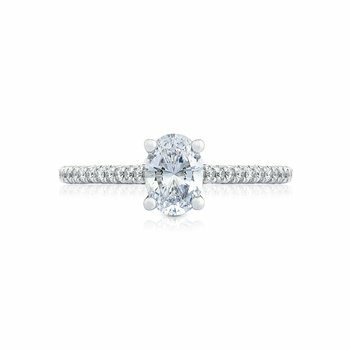 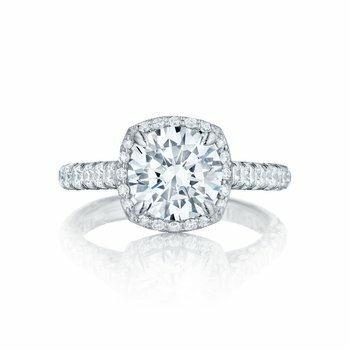 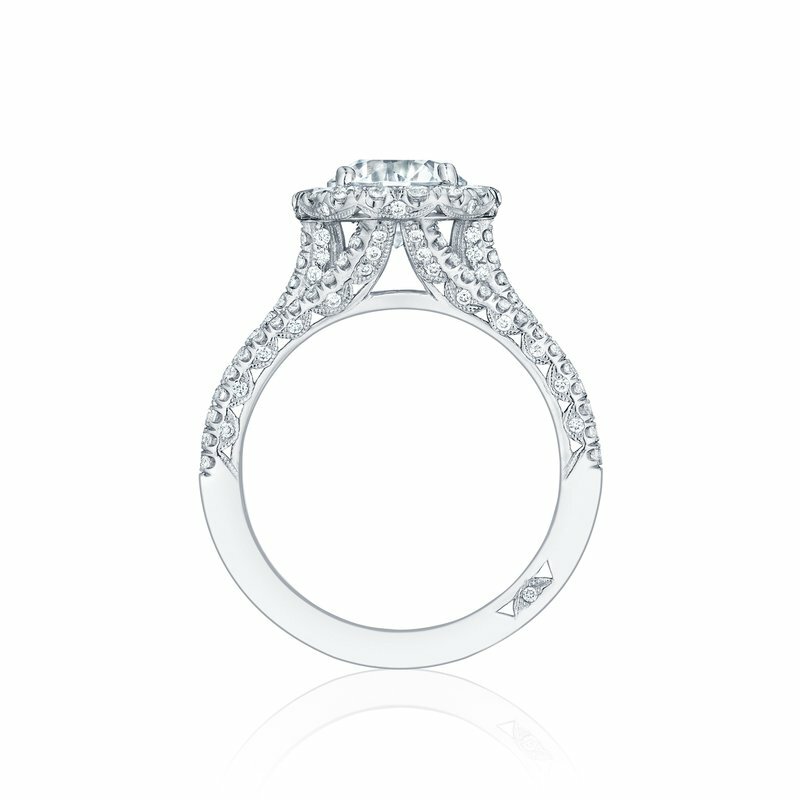 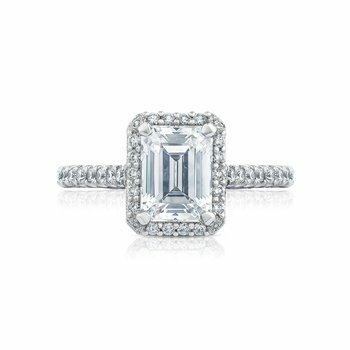 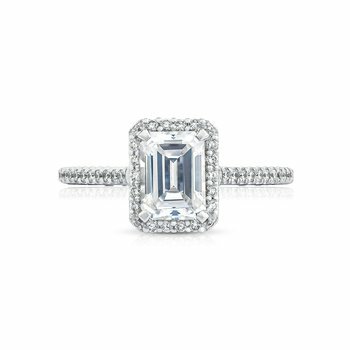 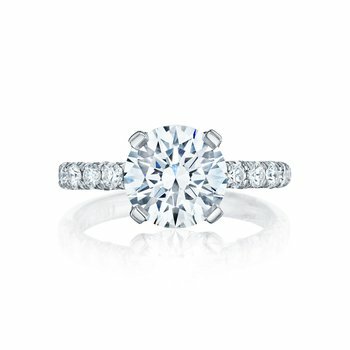 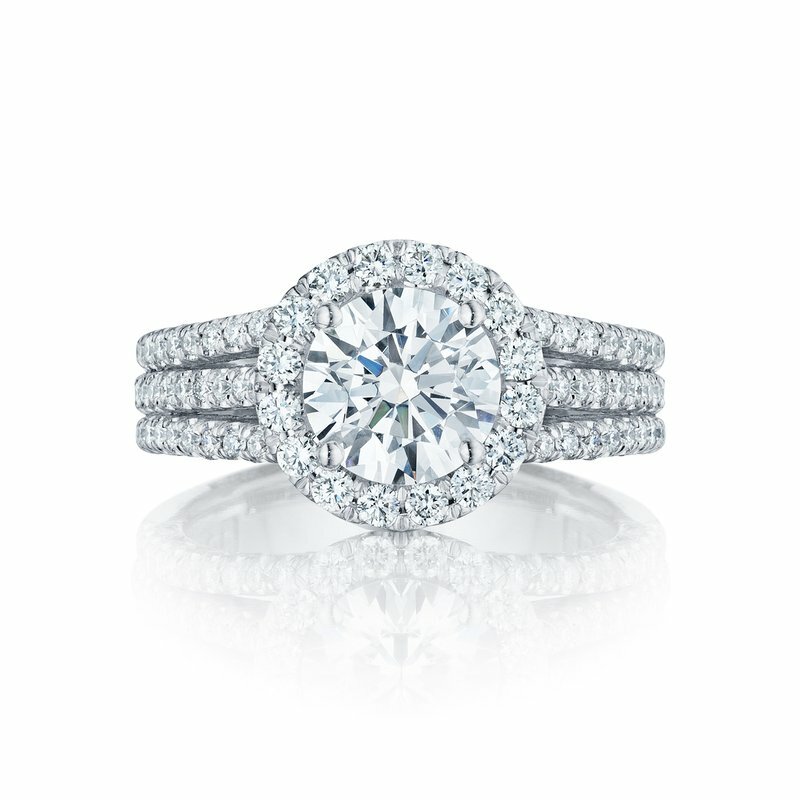 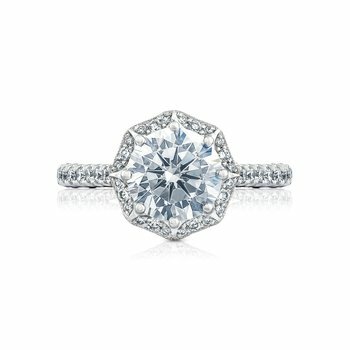 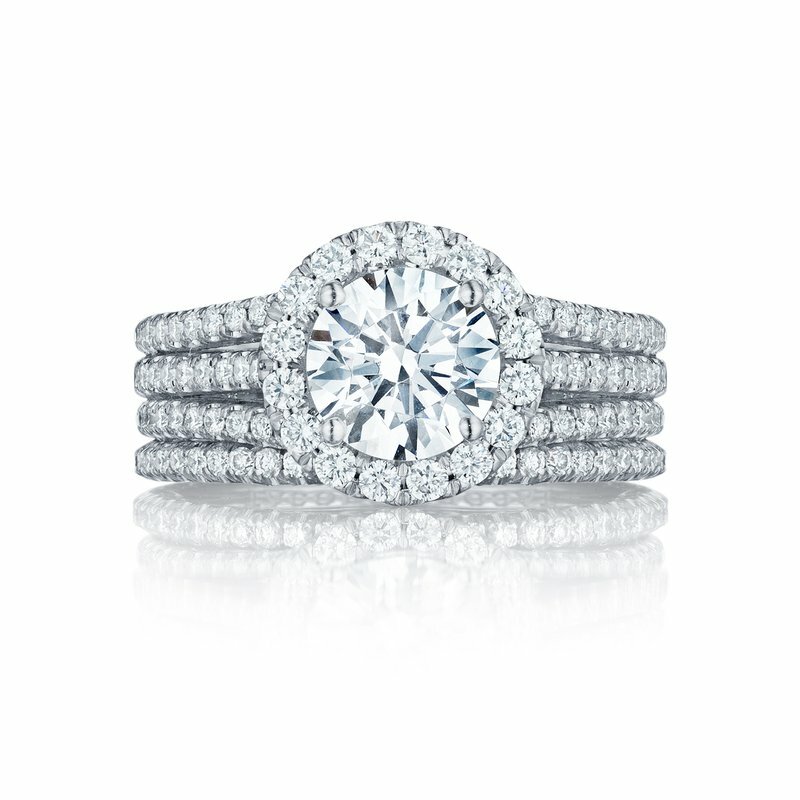 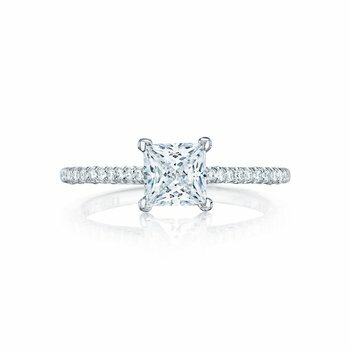 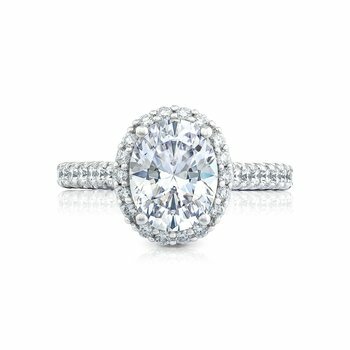 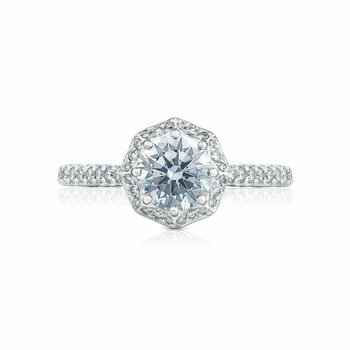 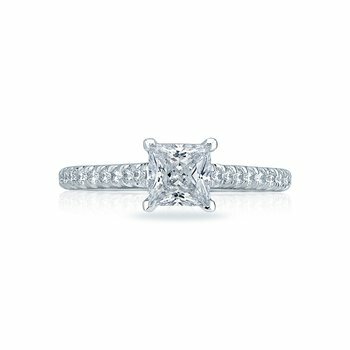 Nothing says "I love you" quite like a triple strand Tacori engagement ring.